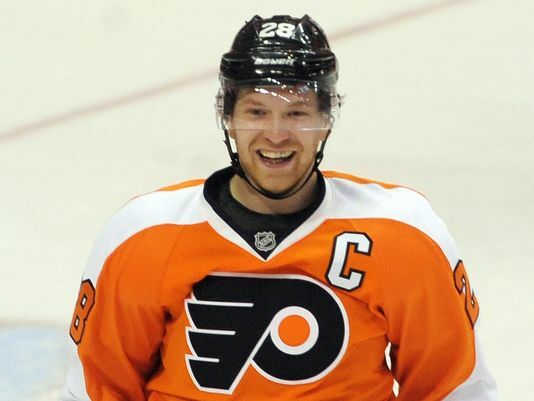 Claude Giroux looks to lead the Flyers this year. Photo courtesy of USAToday. If you followed the Flyers during their 2014-2015 campaign, you’ll remember that it led to an early offseason. In 2015-2016 you can most likely expect the same. During last season’s carousel of healthy defensive scratches and inconsistent forward play, the orange and black complied an unsatisfactory 33-31-18 record and missed the playoffs for the second time in three seasons. With Flyers General Manager Ron Hextall preaching and practicing patience with his young crop of prospects it’s likely to be a long year for Flyers fans. The team was under produced most of last season and not much has changed in terms of the roster to be optimistic about the upcoming season, which starts Oct. 8 in Tampa Bay. A few newcomers have arrived in Philadelphia, most notably Dave Hakstol, who replaces Craig Berube behind the bench. Among the skaters joining the club this season is Radko Gudas, who joined the team via trade at the end of last season. Evgeny Medvedev, a three-time Kontinental Hockey League all-star defenseman from Russia, and underperforming former first round draft pick Sam Gagner, who came to the Flyers via trade this past June. None are substantial or a guarantee boost to a mediocre line up at best. The silver lining from last season was that Philadelphia might have found their long-term solution in net with Steve Mason. With a porous defensive unit last year Mason compiled a .928 save percentage and a 2.25 goals against average despite his 18-18-11 mediocre record. New back up goalie, Michal Neuvirth, is an upgrade over Ray Emery, but the Flyers hope relies on Mason. However, with the defensive unit staying mainly unchanged, it’s unexpected that Mason will garner more wins in 2015. Up front, it’s expected that all-star forward Jakub Voracek will have another great season along with line-mate superstar Claude Giroux. However, this entire season hinges on young forwards Sean Couturier and Brayden Schenn having breakout years. Couturier, who signed to a six-year $26 million contract this offseason, needs to take a gigantic step forward. Flyers brass have been pushing him to develop the offensive side of this game for a bit now and this year factors to be big for him. Schenn, who is in the last year of this two-year $5 million bridge deal is without an extension entering the season. He has had a good showing in the preseason, but the organization is not completely convinced. Schenn, as with Couturier, need to show consistency in their play. Schenn has been prone to lapses of lackluster performance but glimpses of greatness and if the Flyers are to succeed in the Metropolitan Division in 2015, they need a more complete Brayden Schenn. Since the Flyers roster has stood at a stand still and the rest of the Metropolitan division has gotten stronger, the Flyers need help from its youngsters and free agent signings if they are to make the playoffs. Even then it’s probably a long shot, and they will likely be on the outside looking in when the playoffs come around in April.